A former rugby lock, cricket no.11 bat and no.10 bowler, and surfboat rower. 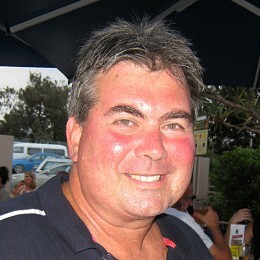 A fan of the major team sports in Australia. 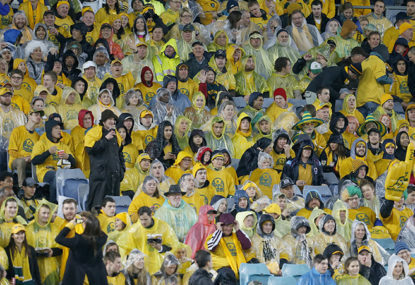 There are two damning statistics about the Wallabies and Australian rugby. 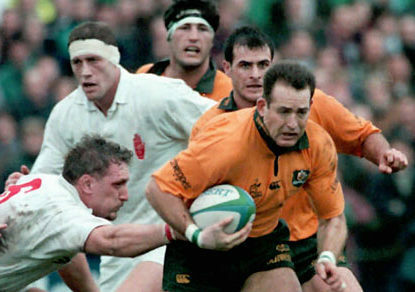 The first is that the Wallabies have not beaten the All Blacks in Auckland since 1986. That’s 32 years, and counting. Last weekend I finally got around to clearing my study of unwanted books, magazines not revisited in many years and reams of scrap paper with double-up scribblings. Former boss of Australian rugby John O’Neill’s abrasive style is both grating and polarising, but there’s no doubting his success rate. What is the best format for a national comp? 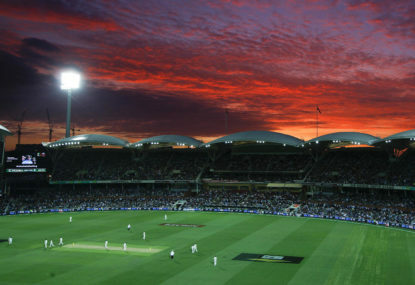 The Australian sporting landscape is becoming incredibly crowded, especially with national women’s comps starting in most of the major sports. Ric Charlesworth is a man with plenty of experience inside and outside the sporting arena. Last Thursday past at The Roar Xmas drinks I was thrilled and honoured to be chatting with legendary septuagenarians David Lord, Spiro Zavos and Kersi Meher-Homji. Also present was The Roar rising star writer Geoff Parkes. The Wallabies played their first-ever Test way back in 1899, and in the years leading up to the start of World War I, they appeared in just 24 matches. When is an Aussie really an Aussie? Ben Ryan, the English coach of the Fijian rugby sevens gold medal winning team at the Rio Olympics, caused quite a stir recently with his caustic observations of how the Pacific Islands were being effectively ‘stripped’ by the major rugby union powers. 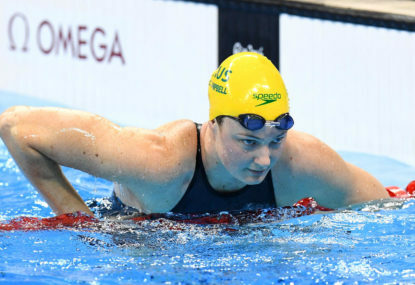 When Cate Campbell imploded in the women’s 100m freestyle final – the most certain of our certain gold medallists – I was as stunned as anyone. Was it mentality, rather than physicality, that failed our swimmers? Are our Aussie swimmers, the Dolphins, mentally soft? Rugby World Cup history: Any help offered? I’m trying to track down some history of the Rugby World Cup, specifically player of the tournament and player of the final. 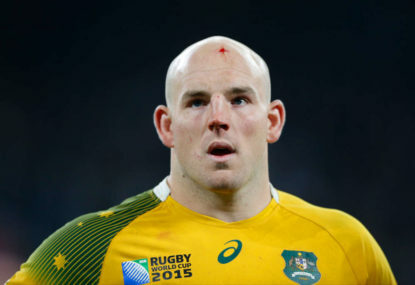 Purely by accident, I have discovered that right now, there have been a combined 150 players who have captained the rugby union Wallabies and rugby league Kangaroos. 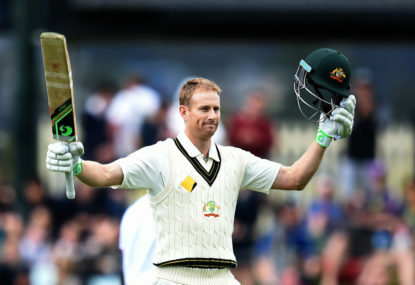 Are Australia's current batsmen the greatest ever? 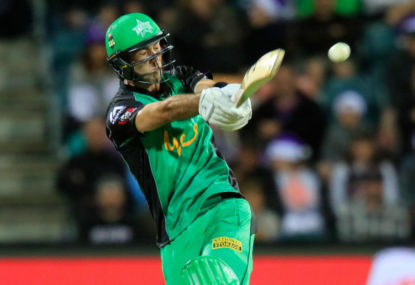 We are presently watching the greatest batting talent in Australian cricket history. 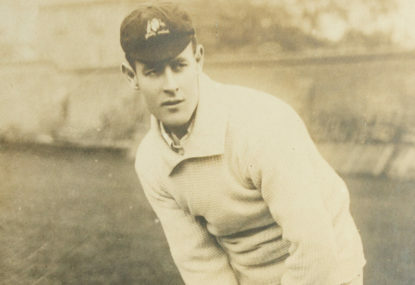 Victor Trumper is one of the most revered cricketers in Australian sporting history. 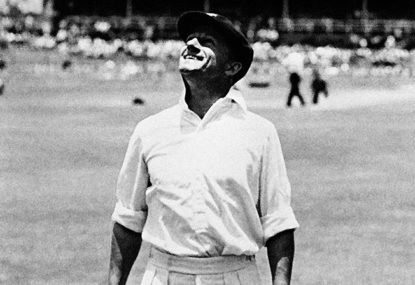 Fellow Roarer Frank O’Keefe has just completed presenting his best 60 all-time Australian cricketers in five batches of 12. I have been inspired to do a similar exercise, but slightly differently. There was a wonderful article in Thursday’s The Australian by Bret Harris, titled ‘All Black giant who shook the world’. Apparently the VRC intend to commemorate the 50th anniversary of trainer Bart Cummings winning his first Melbourne Cup with Light Fingers back in 1965. 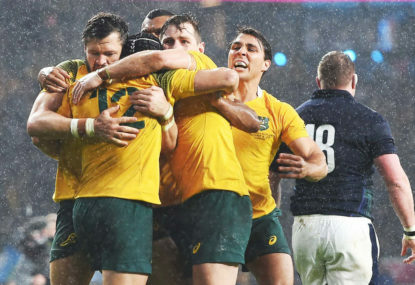 So Aussie rugby fans, here’s a moral dilemma: World Rugby (former IRB) tells us that referee Craig Joubert erred in awarding the Wallabies a 78th minute penalty goal against Scotland. Trainer Bart Cummings stands over the history of the Melbourne Cup, like the colossus phenomenon that he is. And we just had holidays for Easter, which celebrates both the death & resurrection of Jesus, the son of God. So we’ll take the holidays, but damned if anyone can express their religious beliefs. I think it stopped being about the contract after about a week. Now it’s about what the entire society we live in is entitled to say, or not. I agree hypocrisy is running rampant. It now seems we can shut down freedom of religious beliefs, but not freedom of homosexuality. Both beliefs/lifestyles are entitled to co-exist no matter how much some people on either side might find that uncomfortable. We are not obliged to choose, & those who say we must are being deceitful, for either position. 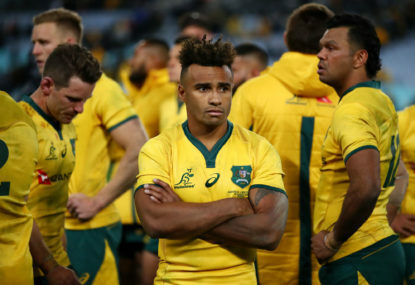 Whatever decision is handed down after 5 May, will not be the end of the matter for Israel Folau or the ARU, it may in all probability be only the beginning of a long, drawn-out saga, involving all of society. I’m going to play devil’s advocate here & ask, “why is Israel wrong”, I’m amazed your certain of your statement that he “belittled homosexual people”. Some people will happily spend weeks, months, years discussing this ad infinitum. I desperately hope I’m not one of them. Folau says he was expressing his religious beliefs, & I can understand that, even though i might think he’s misguided. He also said quite a few other people besides homosexuals would go to hell. At last count, there weren’t too many in the community who weren’t going to go to hell. It’s kinda funny, isn’t it? Folau doesn’t have anymore idea than anyone else about what happens to us after we die. As long as he doesn’t try to physically ram his beliefs down your throats, let him go. It’s about time people re-engaged with context. Anyway, faith is important. At least I believe so. When everything is lost, faith is often the only thing left that any of us can cling to. It’s a value worth preserving. More important in my humble opinion, than offending homosexuals with words that may have no basis of truth behind them in any case. It’s going to be an interesting period ahead. The expression of religious freedom is now under attack, & it is going to be instructive to see how far we’re willing to suppress freedom of religious expression, or allow it to remain unchecked in the public domain. I’m quite sure God is playing with us for his/her/it’s amusement. Just as an aside, just imagine how disconcerting it would be having an audience with God as he/she/it transformed his/her/it’s image every 3-5 seconds??? God has thrown a million piece jigsaw on the floor & said, “here you go earthlings, go figure this out”. “Take as many million years long as you need”…..
You have gone to the heart of the matter, intentionally or inadvertently, in your first sentence by using the phrase ‘homophobic rant’. Folau’s defence will argue “not so” & claim he was exercising his right to express his religious beliefs. Ultimately, this is what it will come down to – religious beliefs or bigotry. The more enlightened in society were saying some time ago, the day will come when we will have to reign in expressions of religious beliefs, that is, severely restrict freedom of speech. It seems the first serious case is about to occur, & the 3 poor fellows making up the Code of Conduct hearing will be obliged to do what a succession of federal & state governments have lacked the balls to do – make a decision on where the line is drawn between religious beliefs & bigotry. I can assure you, whatever decision is handed down to Folau, this won’t be the end of the matter, but the beginning. This might well be the ultimate Pandora’s box. Whether with the passage of time this is seen as a good outcome or not, only time will tell. We’re going to find out how smart we dumbass humans really are. I don’t hold out much hope for the collective intelligence of humanity. I must admit I did the tucked collar routine, plus roll the sleeves up past the elbow. I did seek permission to cut my sleeves later on. Amazed I was allowed to do that! I “hate” rugby players, both union & league, who wear their socks around their ankles. Long socks are supposed to be worn long, short socks worn short. It’s pretty straight-forward. That’s why I’m a fan of Star Wars. “May the force be with you” can mean the force being whatever you want it to be. Suddenly it isn’t as simple as some people might assume. Previously, I would have agreed with you. But now we’re going to find out how legally tight is the ARU contract to Folau. I haven’t seen ARU’s guidelines on their values regarding diversity & inclusiveness. There is an argument gaining traction, which I increasingly believe has merit, that Folau’s comments were a religious affirmation, not a homophobic rant. How clearly does the ARU contract differentiate between religious & otherwise inflammatory comments? If the CoC tribunal agrees Folau’s comments were an assertion of his religious beliefs, which is different to a homophobic rant, then the ARU will have a problem. The question of religious freedom was always going to come to a head in an increasingly ultra-sensitive & ultra-litigious society, somewhere & at sometime. It may well be about to land in ARU’s lap. BTW, I know ARU have rebranded themselves as RA. But I’m not going to let them get away with a name change to absolve themselves from the treasonous culling of WA Force. So ARU they remain to me. I lost my religious mojo many years ago now. Like most of my generation, I accepted everything I was told without too much deep thought just as was the case with my parents. But as you get older & start asking serious questions, you realise a lot of your religion is bunk. Or at least seriously questionable. However, I still support the christian ideal that you basically treat people how you yourself would like to be treated – with basic respect, dignity & consideration. As fas as possible! And I still believe in faith. I still think there’s a superior being responsible for us. I just don’t think he’s some renaissance like ancient male with flowing white hair & grey beard draped in a robe. I’ve become more cynical of radical & extremist religious nuts trying to force their views on us. We’ve seen the fallout of the worst excesses of religious fanaticism, from ISIS most recently to the Conquistadors & Inquisition & ancient human sacrifices of past history. However, because of all of the above, I still support the right of people to express their religious beliefs, just as long as they don’t try to force it down our throats. For me, faith is a personal journey between myself & God how I see him/her/it. I don’t need anyone else’s version. That said, a lot of people, especially here on The Roar, seem to be pretty sure what contract Folau broke, yet he comments were basically a religious affirmation, not a homophobic rant. So if his contract specifies him to accept diversity & integration, but allows him to speak freely of religion, then clearly there’s a technical contradiction problem here. So which is it? I do think there’s no escaping the relationship between ARU & Qantas deserves closer scrutiny. As for Qantas, how does the attitude of major government shareholders involved in the two airlines they are in partnership with – Emirates & Qatar – sit with their so-called values of diversity & inclusion? Qantas need to be called to account for their double standards of what they see as convenient values. Basically I no longer care one way or the other. This whole thing just gets messier & messier. What is evident however is that we humans are nowhere near as clever as we like to think or wish we are. Yes, last sentence is true, & it will be a blight against modern champions. Winx has won from 1100m to 2200m, as indeed did Carbine, Phar Lap, Tulloch, Kingston Town & Wakeful. Although their range went from 1000m to generally over 3200m. Bernborough didn’t win at 2400m plus, but would have won the 1946 Caulfield Cup despite numerous checks in running from deceitful jockeys, only if it hadn’t been for the half a dozen pianos he had to carry on his back. Despite carrying 68kgs (10.10) & finishing 5th, he was only 3 lengths from the winner. Could Winx have carried a huge weight to victory in the Caulfield Cup? Waller has bullishly said she would have won the Melbourne Cup? Would she? Perhaps if she carried a lenient weight as Maybe Diva did (58 kgs/9.2) for her 3rd win. What about Wakeful? Lumped 64 kgs (10.0) as a mare into 2nd place in the 1903 Melbourne Cup. That took real balls. The above horses (given alphabetically) – Bernborough, Carbine, Kingston Town, Phar Lap, Tulloch, Wakeful & Winx – I have named, make up the all-time top 7 in Australasian racing history. 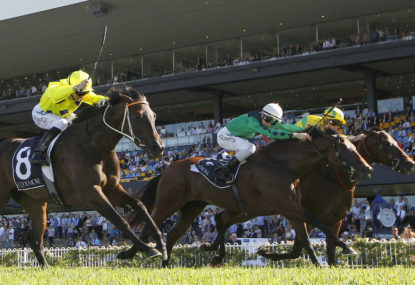 Again alphabetically, Ajax, Black Caviar, Manikato, Makybe Diva, Peter Pan, Todman & Vain would be in the next group. But in what order is more problematic. I would still rank Carbine number one. But people forget him, because his deeds happened now 130 years ago. BTW, I meant Fiorente, not Florence. Auto spellcheck has this crazy idea it knows better than I what I’m typing! Not taking Winx to Europe is irrelevant. Why didn’t they come here? Europeans & North Americans are up themselves. The prize money in Australia is constantly better week-in, week-out than in those places. The variety of racing is also better, for the moment anyway. Although it’s only a matter of time before Australia barely has a G1 race over 2000m, just like say, North America. Anyway, if European & NA horses wanted to test themselves against Winx, they could have come out here. I do agree that Winx’s many wins were over similar WFA distances. Similarly, Black Caviar raced only once at 1400m. All her other wins were at 1200m & 1000m & almost always at WFA. Is Winx the greatest horse ever seen in Australia? I reserve my judgement. Those pushing her case will mention the 4 WS Cox Plates & 33 unbeaten wins. Also, the 25 G1s, but I would caution that argument also. Many of our G1s are undeserving of the status. But did Winx ever carry 68kgs (10.10) like Bernborough did in the 1946 Caulfield Cup, finishing 5th just three lengths from the winner? Maybe Diva won 3 Melbourne Cups but she never had to carry 64kgs (10.0) into 2nd place like Wakeful did in the 1903 Melbourne Cup. It’s not always about winning. Sometimes a horse’s greatest achievement has been seen in defeat. The above two examples citing Berborough & Wakeful are perfect examples. Back in 1960, Tulloch ran 7th in his only Melbourne Cup, just four lengths from the winner Hi Jinx, carrying 64.5kgs (10.1). It was his only unplaced run, yet one of his best despite a poor tactical ride by his famous jockey Neville Sellwood. Black Caviar might have won greater legendary status carrying a back breaking weight into a minor placing in the Doncaster Mile. Ditto Winx. I agree neither horse was challenged enough. Consequently, their status is diminished in my eyes. Yes, Winx was very good, but I’m not convinced she was the very best. Here’s a question, probably mostly rhetorical because the answer is always money. But anyhow, here goes, if the phenomenal publicity & support Winx has attracted not only in her last race but during her sequence of 33 successive wins, why don’t we see more champion racehorses racing longer? 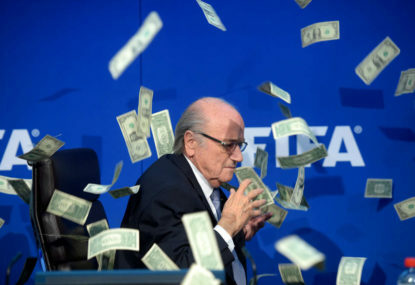 Like I said, the answer is always money. But it’s short-sighted money to fill someone’s pockets over & over. So horse racing is all about breeding. It’s not actually about racing horses, or betting on them, but breeding. That’s all racehorses exist for, to make money for people. I detest the attitude. Racehorses are expensive to operate, I’m repeatedly told. Has anyone bothered to find out why? Probably not, because the common reason might be financial greed. And not many like to be told they’re greedy, even if they know they are. When I was first exposed to racing in the mid-1960s, it was pretty even across the whole spectrum. Horses were expensive to buy even then, but there were still plenty of single owners around. Syndicates only proliferated in the late 1970s as costs ballooned. But back to the 60s. Staying handicaps were still king, but all types of races were respected. The Melbourne, Caulfield, Sydney, Adelaide, Brisbane, Perth & Australian Cups were the kings along with the Metropolitan. But the mile & sprints like the Doncaster, Epsom, Stradbroke & Newmarket all enjoyed their time in the sun. As was the Golden Slipper. It was the best race for two year olds, nothing more, nothing less. Weight-for-age races were respected as the true test between horses of similar age & stamina. The Derbies & Oaks were a big deal when it was their turn to shine. Fast forward to the present & staying races are disappearing before our eyes. Only the injection of overseas horses keeps the Melbourne Cup relevant. Pretty soon they will either have to mothball the race, or reduce its distance. Australia & New Zealand, which once produced outstanding stayers, has become obsessed with sprinters, most of whom are as ordinary as each other. The variety of Australian racing is being slowly destroyed. To keep it pepping, gimmicks have to be found, like The Everest. Any decent racehorse that isn’t a mare, is immediately sent back to stud at the end of their 3-y-o career, or 4-y-o at worst. The public is denied seeing 3, or 4, or 5 horses of similar ability racing against each other, & beating each other. I remember back in the mid-1990s, there was a bunch of outstanding 3-y-o’s come together – Octagonal, Saintly, Nothin’ Like A Dane & florence. Add the older Hyperno & younger Might And Power, & you had half a dozen outstanding horses racing against each other. Those days are gone. I know when the rot started. it started with a guy named Robert Sangster. or maybe we should blame his Australian wife Susan Rossiter-Peacock-Sangster-Renouf for bringing him to Australia. 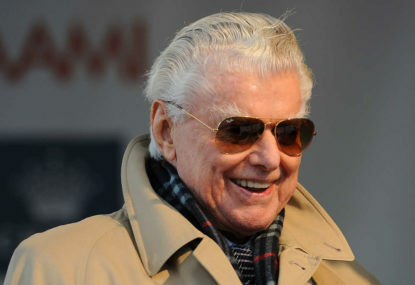 The suave, urbane, somewhat supercilious Englishmen turned his nose up at the egalitarian style of Australian racing & told anyone who would listen, they become more like Englishmen. Forget the staying handicaps, concentrate on wfa sprints & milers. Developing stayers takes too long, we want quick turnaround in profits. Win a couple of group ones then send the stallion back to stud. Make a financial killing. Repeat ad nauseam. Unfortunately a few people with too much money listened to him, people like Robert Holmes a Court, John Singleton & Gerry Harvey. Pretty soon horse racing became more expensive as breeding costs skyrocketed, forcing the mushroom of syndicates to keep up with the filthy rich. Anyway, here we are in 2019 watching a sport that for me has lost its soul. Not that the winning punter cares. End of rant! There is no real freedom from anything. We might not like it, but we have rules because if we don’t, the consequences of behaviour can be dire. As the line in the song goes, “freedom’s just another word for nothing left to lose”. In a workable society we all have to give up a little of our own wants for the greater, common good. Anyone who is part of a team, a business, a relationship, understands this. If we all believed we were free to say & do whatever we wanted, then we would all run red lights. With all the drastic, devastating consequences that would bring. An orderly society requires rules that sometimes we don’t like, but are designed for the greater good. It’s simple, Folau did the wrong thing by breaking his contract. Nothing about free speech. He must go. He can continue to say what he likes without being employed by ARU or paid by Qantas. We can argue all the legal/philosophical technicalities until the cows come home & are killed off finally by the vegans. RA have been so severely criticised so often, & especially last time concerning Folau, that they couldn’t react quickly enough this time to be seen to be in control. Maybe they just reacted a tad too quickly. Anyway, I’m enjoying this, supposedly intelligent, qualified, competent, knowledgeable, experienced people making absolute gooses of themselves. OH, I am so loving this. 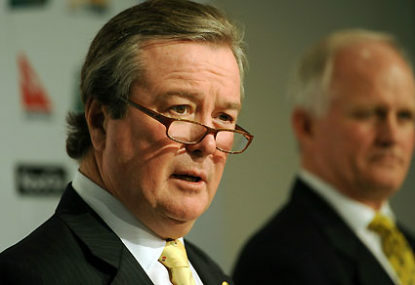 Brett, you expressed surprise at how quickly RA acted in announcing they were tearing up Folau’s contract. But here, it seems, they acted with too much haste. There’s so many people throwing around “technicality” issues. Well, here’s the doosey of all doosies technicality – Folau might have to be paid out rather than sacked because RA tried to sack him without a Code of Conduct hearing. I like your list but I’m uncomfortable that many people, including luminaries such as Bill Waterhouse & Johnny Tapp, think Winx is the best of all-time. Although 4 Cox Plates alone is pretty compelling. The thing is this, Carbine, Phar Lap, Bernborough, Tulloch & Kingston Town all won over distances from 1000m up to 3200m, sometimes carrying massive weights. There are of course, anomalies. Bernborough won at neither 2400m or 3200m. He also started later in life in the big time due to strife with his connections. We cannot possibly know how much better he might have been. Then there’s Maybe Diva, who I think was treated over generously at the weights compared to Wakeful, who had to lump a massive 64 kgs into second place in the 1903 Melbourne Cup. I consider that one gallant performance superior to any of Maybe Diva’s 3 cup wins. So it’s not always about winning. For example, had Black Caviar come second or third in the Doncaster Mile carrying a massive weight, that run might have been seen as good as anything else she did, or better. Anyway, it’s difficult to compare Winx to those horses who won beyond 2000m, often carrying huge weights. We might think she’s the best now, but once emotions calm down, & we revisit her record in the cold light of day, will we still think she’s better than Phar Lap, or even Carbine? Nah on both as top 10. At the time of typing, I am respondent #723. The caravan has probably well & truly moved on from your post. However, your headline is the most self-righteous bit of rubbish I’ve read anywhere. Australian rugby will be no better or worse without Folau, either for his overblown talent or whacky religious beliefs. It has so many other problems, I’m surprised you missed them. Folau is a symptom of rugby’s ills, not a cause. I haven’t offered my opinion on Folau’s comments other than to say I’m enjoying the spectacle of so much self-righteous mongering.